Here are my top 10 ocean stories of 2012, on the OWOO blog. Number one was the Arctic. Check it out. 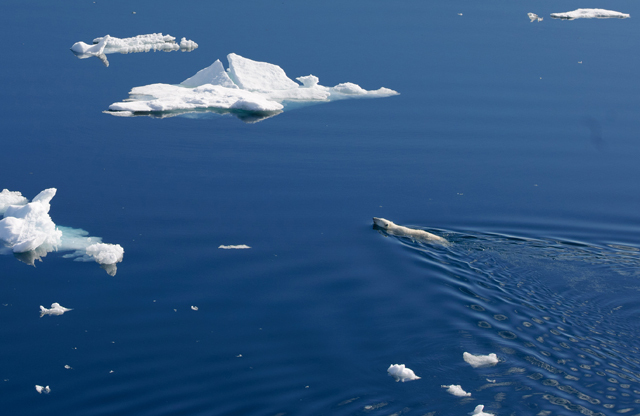 A polar bear swims in a sea with less and less ice. Photo: Florian Schulz.